Look at these sentimental baby shower gifts that you will love. Sometimes it can be very hard to find the perfect gift for a baby shower. Of course, there is the help of the gift registry, but what do you do if you want to get something different. What if it is the second or third baby in this family, and they already have what they need? Your Favorite Children’s Books – Imagine being able to read the same stories to your child, that you were read to as a baby yourself. This is a gift you can get with meaning. Ask family members what books were read to your friend or family member who the baby shower is for. Then, go buy those same books to wrap up and give as sentimental baby shower gifts. Personalized Files – Help the mommy to be make life easier her firs year by buying files and label stickers. Then think of all the paperwork that she may want to save for her baby’s years of life up until graduation. Help her sort the papers and memories fast, by labeling these files. For example, include files for Doctors paperwork, birth certificate, kid’s drawings, report cards, awards, keepsakes, milestone moments/photos, social security, letters from family, college fund, etc. This will eventually become a meaningful keepsake that is useful years later. Family Tree – Have someone create a beautiful family tree, then get an ink pad and have each family member put leaves on the tree using the impression of their finger print. This gift may be a little time consuming, but it will be a worthwhile and sentimental baby shower gift to treasure forever. Hang it up in the baby’s nursery in a nice picture frame if you want. Open When Gifts – The first year of a baby’s birth can be difficult, especially for a new parent. Help them along the way by wrapping several different small gifts that they can open when they feel stressed, tired, emotional, need a get-a-way, are hungry, etc. Necklace – Similar to the Best Friends necklace that splits in half as a heart. Find a personalized necklace you can give to the baby and mother to always feel connected no matter where they are in life. Check this one out here. Letters to your Child – Get a mother and child journal, so they can interact with each other through the years. You can also get the “Message to the Future” letters for mom and dad or other friends and family to fill out and give to the baby when older. Leave advice, wisdom, and predictions about what the baby will be when he or she grows up. How much fun will this journal or letter be to read when they are older? 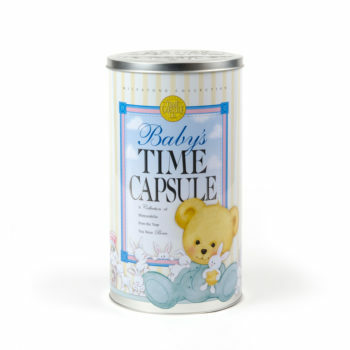 Baby Time Capsule – Last, but certainly not least, check out the decorative Baby Time Capsule seen here. 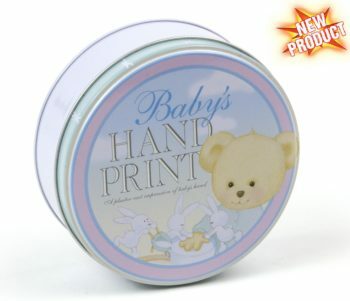 It is meant to preserve your baby’s first year mementos and memorabilia. For the mom who does not want to feel overwhelmed, guilt, or shame for not putting together a photo album or scrapbook, this is the perfect gift for you. 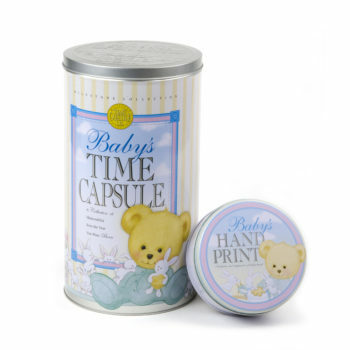 Save baby’s first shoes, blanket, favorite outfit, pacifier, and other sentimental items in the Baby Time Capsule. 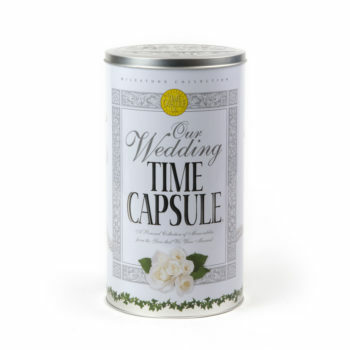 Then, when your child graduates high school or has their first child themselves, give them their own Baby Time Capsule to open and reminisce what life was like when they were born. What a great heartfelt day that will be full of sentimental baby shower gifts. Get a Baby Time Capsule here. We will share more ideas in our next blog. What is a sentimental baby gift you can think of that is awesome. Comment below.